Hellboy by Neil Marshall is very similar to the Hellboy by Mike Mignola. This dark fantasy superhero film draws its inspiration from a series of comics penned by Mike Mignola. The story is of an antihero becoming a good guy and saving the earth from disaster. It is WW II. Rasputin and Nazis bring a young demon to earth but the young creature was saved by Professor Bruttenholm in a rescue operation in the war theater. The young demon gets all the love he deserves from the professor and transforms into a good guy but with a strong liking towards use of brute force. His demonic features are visible in his physical appearance, approach and attitude but he knows how to control those features. On growing up, he gets a job in Bureau for Paranormal Research and Defense where he is tasked to stop an evil from wrecking hell on the earth. The poster wears a dark look due to the vibrant yellow color that becomes black in corners. It has Hellboy with horns and a massive weapon in his hands. 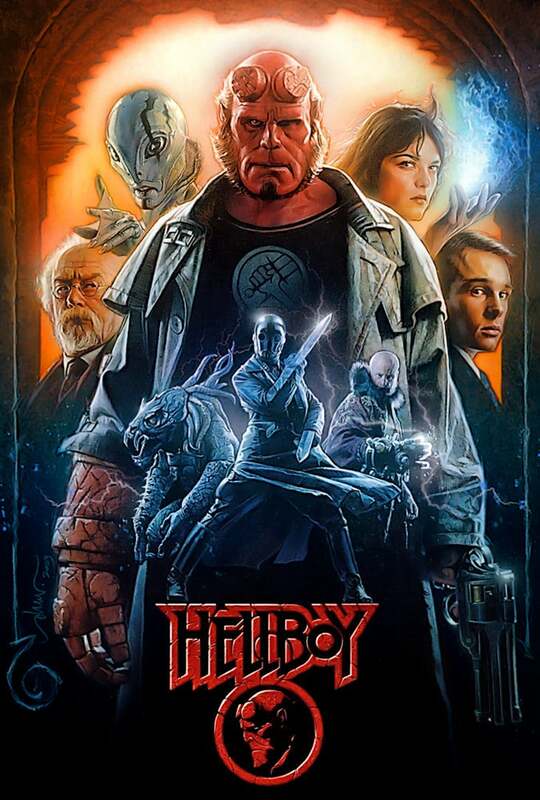 The name Hellboy features in dark yellow color in the bottom. There are many things that are first in the movie. Also, the Hellboyavatar would attract people to movie theaters. The demonic character in good role is also an attraction.